Head and neck cancers account for more than 5.5 lakh of the total cancer cases reported in India every year, putting India in the sixth place worldwide, said health experts. Quoting the Indian Council of Medical Research (ICMR), the experts said approximately eight lakh cases are diagnosed each year, out of which 5.5 lakh cases are of head and neck cancer. 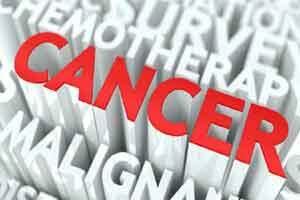 “Primarily a lifestyle-related disease, such cancer is highly preventable. As much as 80 per cent of the causation is attributed to tobacco consumption, while 75 per cent is due to alcohol,” said Alok Thakar, Professor of Otolaryngology and Head Neck Surgery at the All India Institute of Medical Sciences (AIIMS). He was speaking at the ongoing conference on head and neck cancer organised by the International Federation of Head and Neck Oncology Societies in collaboration with the Foundation for Head and Neck Oncology (FHNO). Thakar said Dietary deficiencies, primarily of Vitamin A, B, C, E iron, Selenium, and lack of regular intake of fresh fruits, dietary fibres, fish, milk and dairy products are independent risk factors for the rising cases. “Despite great advancements in this speciality, the management of Head and Neck cancers still remain a problematic and intriguing issue due to the complex anatomy of the various sites. Even each subsite in a particular area behave very differently. Cheek cancer is biologically different from a tongue carcinoma, while a jaw tumour will behave differently from a palatal cancer though all belong to the oral cavity,” said Anil D’ Cruz, Director of Mumbai-based Tata Memorial Centre. According to the experts, in the past one decade there has been a lot of improvement in the treatment of head and neck cancers. “Cure rates have improved. There has been improvement in the quality of life of the survivors. Improvement in the surgical techniques have made large extirpation possible. Minimally invasive techniques such as the use of Laser and Robotics have made surgically inaccessible areas more accessible,” said D Cruz. “The advancements in MICROVASCULAR surgery has made reconstruction of large defects greatly possible which otherwise would not have been,” added D’ Cruz. Among the other techniques, Radiation techniques have improved . IMRT and the IGRT technology to a great extent have reduced the complications of the treatment. “Evolution of chemotherapy with evolution of newer drugs in the past four decades have been able to prolong the survival of the patients. Pathobiology of the head and neck tumour is now better understood. Advances in basic research in genetics and the molecular biology have made things better. Hence cancer is best treated through a multidisciplinary approach,” said Prathamesh Pai, a senior oncologist from Mumbai based Tata Memorial Hospital. During the ongoing conference, over 800 delegates from 15 countries will present their research papers on innovations in head and neck cancer.